Another thing that I’ve noticed over the years in my Rabbinic Counseling is that many modern Jews are not as familiar with the Torah and the Talmud as they might be. They find it difficult to understand and interpret in a way that makes sense and has relevance to their lives in the modern world. This is quite often the root cause of the kind of spiritual disconnection that I described earlier. Now Available for Kindle. Click Here to Order. 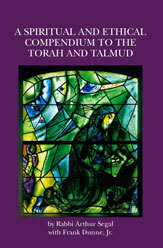 ”A Spiritual and Ethical Compendium to the Torah and Talmud ”dissects each of the Torah’s weekly sections (parashot) using the Talmud and other rabbinic texts to interpret its lessons. ”A Spiritual and Ethical Compendium to the Torah and Talmud ”brings the Torah alive with daily relevance to the Modern Jew. All of Torah can be summed up in one word: Chesed. It means kindness. The Talmud teaches that the Torah is about loving our fellow man and that we are to ”go and study.” The rest is commentary. ”A Spiritual and Ethical Compendium to the Torah and Talmud” clarifies the commentary and allows one to study the Torah and the Talmud to learn the Judaic ideals of love, forgiveness, kindness, mercy and peace. Since each parasha is the weekly Torah portion, you may read each of the chapters in the book during the course of a week while also reading the actual Torah portion. 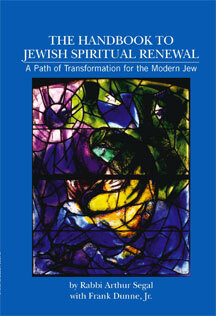 By doing so, you will learn a modern Jewish Spiritual view of each Torah portion. At the same time, your world will be open to the ethical teachings of the Talmud. While many read the Torah as a history book, or a deed to land, or see it as a boring book full of legalisms and ritual for a priesthood that no longer exists, this book aims to show you the spiritual ethical lessons in each parasha. In a sense this book will hopefully help you enjoy reading and understanding the Five Books of Moses, what we call Chumash from the Hebrew word for “five.” You may even discover that you want to continue your study with the Talmud and other Jewish texts. …certainly a small amount to pay for the priceless wisdom contained within the Torah and the Talmud.